A lesson in democracy – What Iran’s elections say about its democratic future? SHAFAQNA – While media such as Al-Jazeera remains insistent Iran’s 10th Parliamentary elections (since 1979 Islamic Revolution) do not qualify as democratic, I would personally argue that Iran taught the world a lesson or two by way of responsible politicking – offering both a space and a platform for pluralism to be expressed, without it becoming a source of confusion. I’m sure of course that such subtleties escape those corporate media which remain under the yoke of absolute monarchies … why expect fairness and objectivity from those accustomed to tyranny? 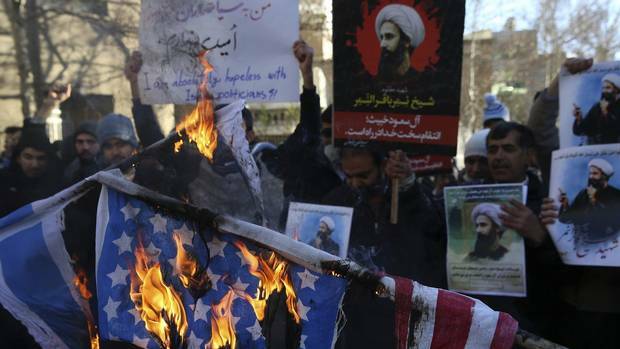 Sarcasm aside, Iran has most definitely suffered from a bad case of political labelling over the years – the great evil Western capitals have been so keen on castigating, for its rule came to be on the rejection of Western colonialism. Iran’s road to democratic self-governance it needs to be said was not an easy one! Iranians fought long and hard for the freedom, and the choices they enjoy today – no thanks to Britain and the United States of America. If London and Washington had their way, it is likely the Pahlavi house would still tower over a shackled nation, selling to the four winds the national pride, religious traditions and heritage of an entire civilization. But Iran’s future was saved! Iran’s future was saved by its people under the impetus of a man who wielded leadership not as a tool of enslavement or privilege, but responsible guidance. Here I believe lies a notion which has long escaped Western commentators. While I do not pretend to be privy to Iran’s inner workings – this I leave to those better versed than me, I do believe that Iran has suffered a great injustice in that many have failed to understand the Islamic Republic institutional set-up, and the philosophy which stands behind it. 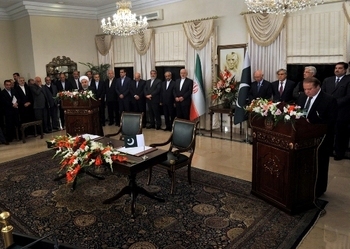 When looking at the Islamic Republic and most particularly the office of the Supreme Leader, it is vital to understand that such position comes from an Islamic understanding that Society can only reach harmony through its adherence and implementation of Islam’s sacred texts, as expressed by the Quran, and the wisdom passed on by the Imams (the progeny of the Prophet Muhammad). If such attachment to religion might have rebuked virtuous secularists, such has been Iran’s political wisdom and wishes, as expressed by its people in 1979. 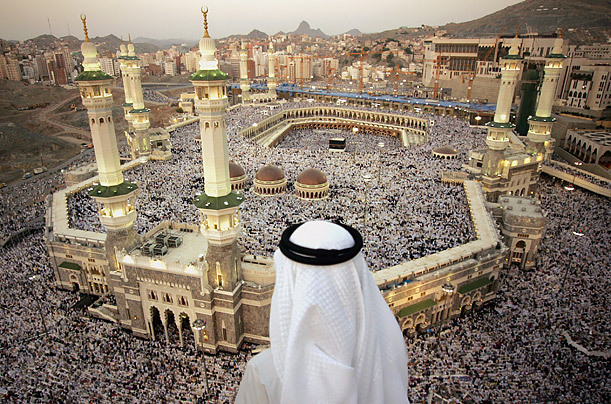 The keeper of tradition, guardian and witness of the Word, the office of the Supreme Leader stands a gatekeeper against political greed, social deviance and unjust economic disparity – the voice of reason over the tumult of worldly affairs, the Supreme Leader stands not as a despot, but a teacher; thus fulfilling this role Imams, have been appointed since the dawn of time. Sitting outside and over politics, the Supreme Leader has occupied a place most difficult indeed as his role has been to both safeguard tradition, and embrace the changes innate to any society. And while the affairs of the state might remain ultimately within the president’s hands, it is its faith Iran entrusted to the Supreme Leader. To better understand the Islamic Republic of Iran one needs to accept its religious dimension – this divine covenant it intends to keep alive, to better lead its people. As 2016 rung a new day onto Iran; its political landscape is now set to reflect those changes its people want to see manifest on the ground. 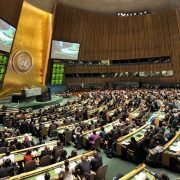 Such yearnings for reforms should not however be interpreted as a desire to emulate Western democracies, only a need to adapt to changing socio-political realities. Iran this January took to the ballot boxes twice: once to vote parliamentarians in the Majlis, and a second time to elect the members of its Assembly of Experts. While the Majlis is responsible for passing the country’s legislation (elections every 4 years), the Assembly of Experts decide who will sit as Supreme Leader over the Islamic Republic (elections every 8 years). Two main political currents have run against each other: the reformists versus the principalists. Although media have been intent on playing both factions as antithetical to each other, they really are not; rather, they express different viewpoints, and perspectives, while still connected at their core – two branches of the same tree. 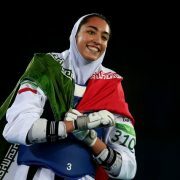 So far Iranian officials have confirmed an estimated 62 percent participation against 70 percent in 2009. “It was a healthy, legal and very good election,” Interior Minister Abdolreza Rahmani Fazli told the press. Indeed, right on the heels of Iran’s historical nuclear deal, February elections will serve as an indicator vis a vis President Hassan Rouhani’s reforms plan and reintegration within the global community. 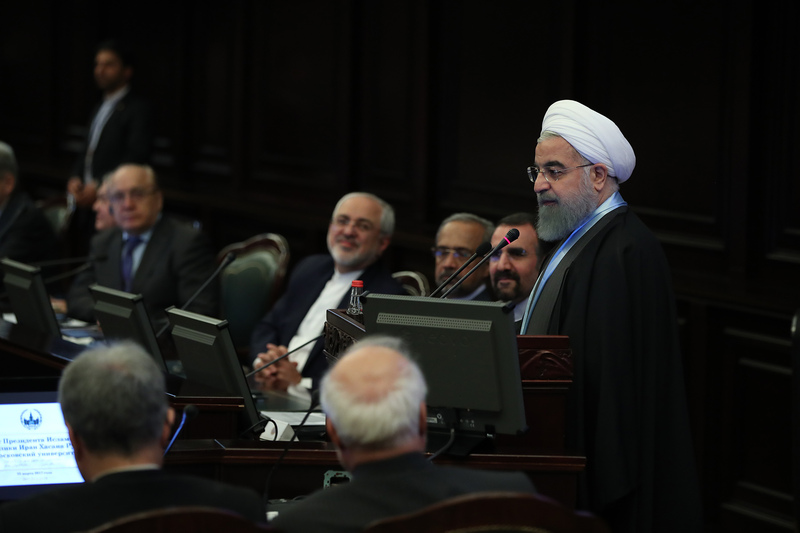 According to official figures Rouhani and allied centrists and moderates won 15 out of the 16 Tehran seats in the 88-member Assembly of Experts. Some of the 15 elected in Tehran were in both conservative and reformist electoral lists. Candidates on the reformist list also took all 30 parliamentary seats in the Tehran constituency, up from just two previously, final results released by Interior Minister Fazli showed. Beyond the capital, reformists’ gains were more limited, with conservatives keeping hold of many seats in both bodies. But what about Ayatollah Ali Khamenei? Where does the Supreme Leader sit when it comes to the direction Iran has taken post-sanctions? I would say the Supreme Leader sits where he always did; above the clamour and the chatter. For all the political posturing and many disagreements politicians may have, there is no real rift in between Iran’s political factions, and ultimately, a course will be set to reflect compromises. 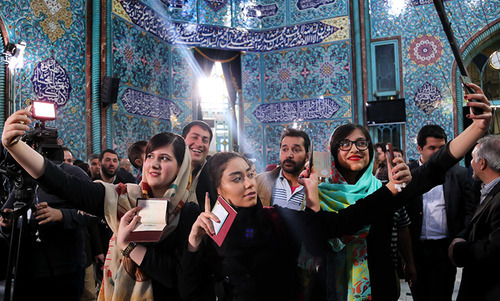 In his first comment since the polls, Ayatollah Khamenei praised the high turnout, while advising all to remain mindful of nefarious western influences – a line which given the circumstances is more than reasonable. Keeping in mind that Western capitals have carpet-bombed the Middle East in the name of pro-democracy building, caution ought to be exercise before emulation. https://en.shafaqna.com/wp-content/uploads/2016/03/election_d5e47.jpg 301 500 catherine https://en.shafaqna.com/wp-content/uploads/2018/10/new-logo-s-en-fine.png catherine2016-03-01 10:18:002016-03-01 10:18:00A lesson in democracy - What Iran’s elections say about its democratic future?